An account of Rousseau’s project for the education of the eldest son of M. de Mably. From May 1740 until May the following year Rousseau served as tutor to the two sons of M. de Mably. Mably, the brother of the Abbé de Mably and Condillac, was the Prévôt-Général of the province of Lyonnais. Rousseau finished his ballat Les Muses galantes in 1745 and it was first performed at the Opéra in Paris with no great success. Rousseau’s essay won the Dijon academy prize in July 1750. He was ill when the news arrived and Diderot saw to its publication by the end of 1750. (Trans. as the Discourses on the Sciences and the Arts, 1751, and known as the First Discourse). The Discourse, a diatribe against advanced civilization and a hymn to “ignorance, innocence and poverty”, made an extraordinary impression. “You are raised to the skies”, reported Diderot. “There never was a success like it!”However, in the Essai sur les règnes de Claude et de Néron Diderot described Rouseau’s essay as “an old warmed-over quarrel,” and “apologia for ignorance,” which exalted the “savage over the civilized state”. First played at the Théatre Français. This operatic intermezzo won Rousseau immediate fame following its debut at Fontainebleau on 18 October 1752. Performed before Louis XV it was later emulated by both Gluck and Mozart. Published in November, the Lettre bitterly attacked French opera, French music and other aspects of French musical life. “French song is nothing but a continuous bark”. The orchestra of the Paris Opéra hanged Rousseau in effigy and refused him entry to their performances. Essay entered, unsuccessfully, for the Dijon competition. Completed in June 1754 and published in May 1755; trans. as A Discourse upon theOrigin and Foundation of the Inequality Among Mankind, 1762, and usually known as the Second Discourse.Rousseau sent a copy to Voltaire, who replied, on 30 August 1755, “Sir, I have received you new book, written against the human race, and I thank you . . . Never was so much intelligence used to make us stupied. While reading it, one longs to go on all fours”. Commissioned by Diderot and printed in the Encyclopédia, Vol. V.
Unpublished manuscript, dated 18 August 1756, in which Rousseau argued against Voltaire’s rejection of a beneficent providence. Rousseau’s infamous attack on French music was seen as a direct criticism of Rameau’s operas. More commonly known as the Lettre sur les spectacles, a refutation of d’Alembert’s article ‘Genéve’ in the Encyclopédia. In the proofs of his Letter on Stage-Performances he added a paragraph to the Preface, in which he refers to his break with Diderot, (without mentioning him by name): “Living alone I had no one to show it to. I used to have a severe and judicious Aristarchus (i.e. critic); I have him no longer, and I do not want him any longer; but I shall never cease to regret him, and he is even more a loss to my heart than to my writings.”Voltaire had inspired the article which d’Alembert had written after a visit to Les Délices; not only was the city of Calvin asked to build a theatre but also certain of its pastors were praised for their doubts of Christ’s divinity. The scandal provoked a hasty response: the Encyclopédie was forced to interrupt publication and Rousseau’s refutation marked a final break between himself and Voltaire. The prohibition of further publication of the Encyclopédie coincided with the crisis occasioned by an attempt on the life of the King. D’Alembert replied to the Lettre with the Lettre à J.J. Rousseau, citoyen de Genève. Publication, early in the year, met with great success. The English translation appeared in the same year.During 1761 Rousseau works on producing editions of and essays on Saint-Pierre’s Le Projet de paix perpétuelle and Discours sur la polysynodie. Completed in the autumn of 1760, Émile finally appeared in May, bearing the imprint ‘A La Haye, chez Jean Néaulme’. Rousseau’s Parisian publisher, Duchesne, presented the work as if it had been printed in Holland; hence the imprint with the Dutch publisher’s name of Néaulme. (This common deception in publishing during the eighteenth was abetted by commerical considerations: Dutch editions were expensive). The book was translated under the title Émile, or Education, 1764), and published in May 1764. 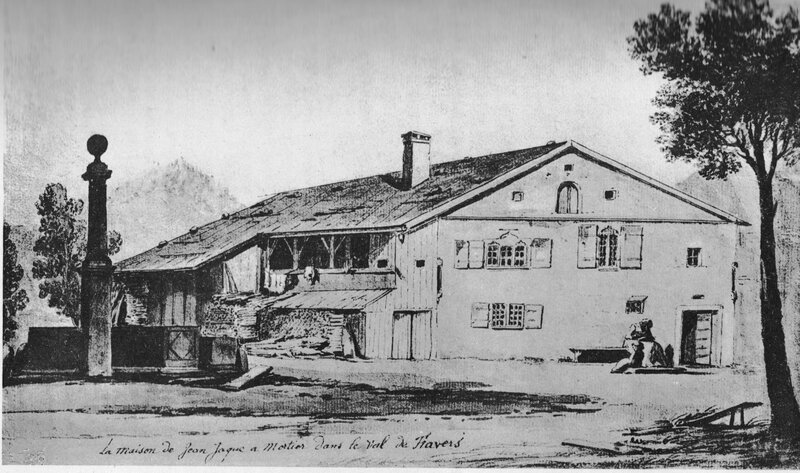 Both Du Contrat Social and Émile were condemned, first in Paris, where on 9 June the parlement issued a warrant for the burning of Émile and the arrest of Rousseau (friends assured Rousseau that no attempt would be made to pursue him if he fled), and then in Geneva (the only place where Du Contrat Social was actually burnt), after which Rousseau fled to Switzerland to escape arrest. The government in Paris reneged on its tacit agreement to let Émile appear after the combined protests of the Sorbonne, the archbishop of Paris and the parlement. On 19 June the Genevan authorities condemned both works as “rash, scandalous, impious, tending to destroy the Christian religion and all government…”, and added a warning that Rousseau would be arrested if he set foot in Geneva. In Émile it was primarily the essay ‘Profession of Faith’, which was included in Book 4, which landed Rousseau in trouble with the French authorities. Rousseau was geniunely hurt when Émile was declared to be blasphemous. A sequel to Émile, which Rousseau worked on between 1762-5, and left unfinished. Published 1780. An attack on the archbishop of Paris who had condemned Émile. In his Pastoral Letter, Mandement de Monseigneur l’Archevêque de Paris portant condamnation d’un livre qui a pour titre, Émile, ou de l’éducation, par J.J.Rousseau, citoyen de Genève, Beaumont wrote: “Saint Paul predicted, dearly beloved Brethren, that dangerous days would come when there would be men infatuated with themselves, proud, overbearing, blasphemers, impious, calumniators, inflated with conceit, seeking voluptuousness instead of God; men of corrupt minds and perverted faith”.In denigrating Rousseau as a writer preaching man’s original innocence the Mandement exclaimed, “from the heart of error there has arisen a man filled with the language of philosophy without being truly a philosopher; his mind endowed with a mass of knowledge which has not enlightened him, and which has spread darkness in the minds of others; his character given over to paradoxical opinions and conduct, joining simplicity of manners with ostentatious displays of ideas, zeal for ancient maxims with a rage for innovation, the obscurity of seclusion with a desire for notoriety: we have seen him thunder against the sciences he was cultivating, crying up the excellence of the Gospels whose dogmas he was destroying, paint the beauty of virtues he obliterating in souls of his readers. He has made himself the preceptor of the human race only to deceive it, the mentor of the public only to mislead everyone, the oracle of the century only to secure its ruination”. A reply to Jean-Robert Tronchin, procurator-general of the Genevan republic, who had written Lettres écrites de la campagne, in which he defended the executive council of Geneva (the Petit Conseil) for having ordered the burning of Émile and Du contrat social. The parlemant of Paris ordered the Letters to be burnt alongside Voltaire’s Philosophical Dictionary in April 1765. It was also burnt at the Hague on 22 January 1765. In September Rousseau was asked by Matteo Buttafuoco, a friend of Pasquale Paoli, to prepare a constitution for Corsica. 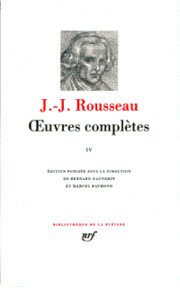 Rousseau never completed the project, though a rough draft was published with the above title in 1861. Rousseau finished Les Confessions, begun in 1766, in 1770 and started private readings of the work, which in 1771 and at the request of Mme d’Épinay are banned by the police. 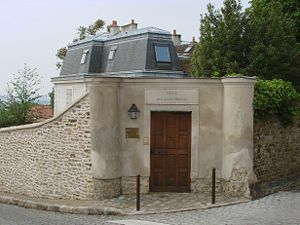 Rousseau prohibited the publication of his Confessions before the year 1800. Nevertheless, printers managed to get hold of copies, perhaps through Theresa, Rousseau’s wife, who was always short of money; the first part appeared in 1781 and the second part in 1788.“When I wrote my Confessions I was already old and disillusioned with the vain pleasures of life, all of which I had tasted and felt their emptiness in my heart”. Reveries of the Solitary Walker, 76. Written after Count Wielhorski asked Rousseau to advise the Poles on how to reform their institutions. It was first published in 1782. In December, Rousseau tried to place the Dialogues under God’s protection on the high alter of Notre Dame, but was prevented from doing so by the iron grille surrounding the choir, which he had never before noticed on his many previous visits to the church. He gave a copy of the work to Condillac, who reacted unfavourably, and started to hand out to passers-by a hand written circular beginning:To all Frenchmen who still love justice and truth. Rousseau entrusted the manuscript to Sir Brooke Boothby, his neighbour at Wootton Hall, to be published after his death, which he duly did at Lichfield in 1781. The chronology of the work is uncertain. The first two Walks seemed to have been written in the autumn and winter of 1776 and then continued intermittently until 1778, when the Tenth Walk, itself unfinished, is dated Palm Sunday 1778. Publication of Part I; Part II appeared in 1789. (Trans. Confessions, 1783-90).